We know how important authentic ingredients are when cooking your favorite traditional dishes. We take pride in providing our customers with truly authentic, quality imported products in every department. 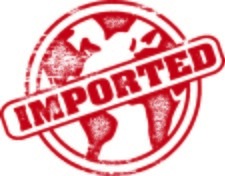 Imports are one of the things we do best. We strive to be the leader in providing the newest available products. You can usually find it here first.